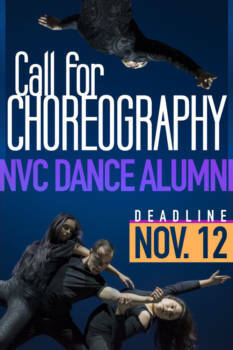 The Dance program at Northwest Vista College, a part of the Fine and Performing Arts and Kinesiology department, has announced its first NVC Dance Alumni Call for Choreography. Aimed at connecting current students, college alumni and the greater San Antonio community through dance, the invitation provides a unique collaborative opportunity which can only take place at the Palmetto Center for the Arts. 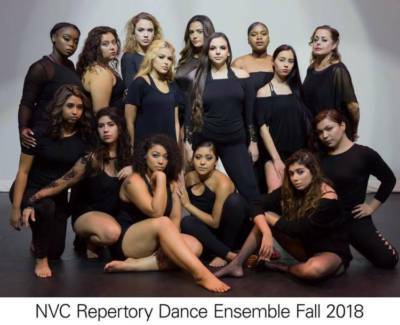 Dance program coordinator, Jayne King, working together with NVC dance faculty, Brittany Lopez, are facilitating efforts which will begin with Vista alumni choreographing a performance and culminate with students performing the piece for the public. Explaining that the NVC dance program is now in its 15th year of existence, King shares how the idea came to fruition. “The concept began to take shape when we realized that dance program alumni were now beginning to reach levels in their academic and professional careers that would allow them to share their experience with others,” she said. A perfect example, King added, is Brittany, who is a Vista alumna from the class of 2008. Following her studies at Northwest Vista, Lopez went on to earn degrees from Texas State University and Texas Woman’s University. She returned to San Antonio and began teaching at her first alma mater, Northwest Vista College. Lopez, now full-time faculty, is directing this year’s NVC Repertory Ensemble. Lopez says the Call for Choreography for NVC Dance Alumni is inspiring for everyone involved. “This offers great professional experience to help take a career further at every level,” she said. King and Lopez say that the dance program at Northwest Vista is unique in part because no university in San Antonio currently offers a dance degree. “We have great facilities at Northwest Vista, which give us the opportunity to offer student focused performance at a professional level,” said King. Graduates of the NVC dance program have gone on to study, perform and work in places such as New York, Houston and Washington D.C. King said that interest in the program has been positive with several NVC dance alumni having submitted applications to participate. The deadline to submit an application is November 12 and is open to those who completed the program prior to 2014. For more information contact Jayne King at jking80@alamo.edu / 210-486-4810 or Brittany Lopez at blopez128@alamo.edu / 210-486-4212.